Now a day, everyone is jumping on climate change bandwagon….I am not a climate sceptic but we are following a dangerous path of convicting others while totally ignoring our own duties…Take the example of infrastructure development which turned natural hazards into disasters…Few years back, we linked our drought, flood, salinity to India’s unilateral withdrawal of water at Farakka Barrage…But now those things are linked to climate change as if Farakka Barrage does not exist anymore and India does not have any role in making our climate change adaptation more difficult. His disrespect was resulted from the understanding that I was one of those who had jumped on the ‘climate change bandwagon’ and started to conduct a climate change adaptation research without understanding the main reasons behind the impacts. I convinced my interviewee that one of my goals is to gather alternative perspectives through my research which interviewees like him could provide. I got my respect back. After finishing my interview, I told myself that to properly work on climate change adaptation we need to answer the question first, ‘Climate change, or not climate change?’ Otherwise, our vision towards climate change adaptation would remain as a tunnel vision and we would earn disrespect in the long run. 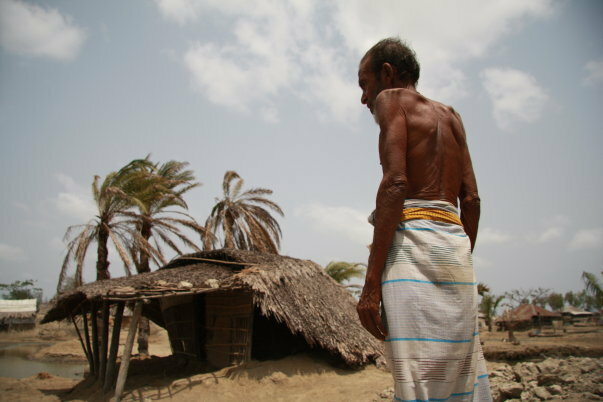 As I observe, climate change and its impacts have extensively been discussed in Bangladesh over the last six years. Release of the fourth assessment report of the Intergovernmental Panel on Climate Change and subsequently the 13th Conference of Parties in 2007 provided the momentum to that extensive discussion. Since then, there has been a growing tendency in Bangladesh to link natural hazards like flood, drought and saline water intrusion to climate change because of rainfall anomalies, increased temperature and sea level rise. However, prior to this tendency of climate change attribution, it was widely discussed and agreed in Bangladesh that unilateral and arbitrary withdrawal and release of Ganges water by India at the Farakka Barrage, located 17 kilometres upstream of Bangladesh, are to blame for sudden and massive floods, drought and increased salinity in Bangladesh. Therefore, when suddenly climate change overshadows the existence of Farakka Barrage or how India tries to control the rivers in upstream, people like my interviewee become curious about the intentions of those who do not highlight the role of upper riparian countries behind the natural hazards in Bangladesh. While Bangladesh is termed as one of the most vulnerable countries due to climate change at the moment, we observe that the normative discussion highlights the historical and future responsibilities of developed and advanced developing countries in changing the climate. Along with climate change adaptation at different levels, it is generally argued that high-emitting countries should reduce their greenhouse gas emission to keep climate change adaptation feasible and manageable for countries like Bangladesh. However, as we can see from Bangladesh’s experience, such a common argument often under emphasizes the responsibility of upper riparian countries like India when their self-interested trans boundary river management further fuels natural hazards in low riparian countries like Bangladesh that are already affected by climate change impacts. Ironically, the interests of India are often linked to their country-specific climate change adaptation process. Due to this paradox, existing transboundary river management may be conducive to national climate change adaptation of India and not to regional climate change adaptation that includes Bangladesh. I found more research participants categorically indicating Farkka Barrage as a greater threat to agriculture sector in Bangladesh in comparison to current and predicted climate change impacts. They opined that it would be a faulty approach if the impacts of Farakka Barrage are disregarded during any plan related to climate change adaptation. Some participants criticized the approach of Bangladesh Government for linking all natural hazards to climate change in recent times. They argued that although this approach has been taken to make high-emitting developed countries responsible for climate change with an aim to ask for compensation, such approach undermines the responsibility of national government and neighboring countries since some of their actions increase the extent of natural hazards and decrease the effectiveness of climate change adaptation. I have found that critical uncertainty has been evolved in terms of functional climate change adaptation due to faulty attribution of all natural hazards to climate change while ignoring some other significant reasons. However I think such a faulty attribution by the Bangladesh Government or any other group, and any related relief of the Indian Government, would be unsustainable in the long run. More than five years back I met the IIT Professor Sudhir Chella Rajan who conducted a study on climate migrants in South Asia on behalf of Greenpeace. It was predicted by Professor Rajan through modelling that ‘About 125 million migrants, comprising about 75 million from Bangladesh and the remaining from the densely populated coastal regions as well as other vulnerable parts of India could be rendered homeless by the end of this century’. He also indicated that ‘The bulk of the people from Bangladesh are very likely to immigrate to India’. Although the modelling could be contested and Bangladesh may deny such possibility of climate migration to India, the potential of conflict between Bangladesh and India due to differences in transboundary river management has been highlighted by many scholars over the years. Based on these predictions and opinions of experts, it could be argued that India’s stability would be challenged due to the adverse impacts of both climate change and transboundary river management on Bangladesh. Therefore, in Bangladesh, whenever we face intense natural hazards, we need to ask the question – ‘Climate change, or not climate change’ – to explore the reasons behind the hazards. Government of Bangladesh must acknowledge the importance of shared water of Ganges and other rivers on social, political, environmental and economic conditions of the country and pursue a regional climate change adaptation approach with support from India. This regional climate change adaptation approach should integrate concerns related to both transboundary river management and climate change and leave no room for ambiguity. Through this regional approach, governments of Bangladesh and India can ensure effective adaptation to climate change as well as a conflict-free and secure South Asia. To be, or not to be: that is also the question! *Khalid Hossain is a Bangladeshi PhD researcher at RMIT University, Melbourne, Australia. Prior to this he worked as the campaign coordinator at Oxfam in Bangladesh and as an international trade analyst for the Government of Bangladesh. He has published widely in academic journals and books. Well, without adequate research drawing a line of conclusion is utterly confusing and misleading, which is redundantly done in cases of natural and anthropogenic stressors in Bangladesh! The country is undoubtedly one of the most vulnerable ones regarding climate change if we look at the global patterns of temperature, precipitation and sea level (the obvious source is the IPCC fourth assessment report despite climate change is under debate). However, our knowledge on whether these effects are visible on the regional scale or not and what their contribution is to natural perturbations is still limited. I conducted research on spatiotemporal trends in monsoon precipitation and summer temperature in Bangladesh and found evidences of shifting temperature regime (north to south implying the warmest region is tending to shift from northeast to southeast, http://dx.doi.org/10.1155/2013/148538; http://dx.doi.org/10.1007/978-3-642-39649-6_9) and increasing wet spells in the wet regions. Similar results were obtained in other research and some (including me) observed an associated shift in agriculture to climate (http://dx.doi.org/10.4236/ijg.2012.33048). By contrast, I haven’t found any research conducted so far to identify whether the perturbances like salinity intrusion, flash floods are climate driven or rather anthropogenic. Moreover, no one showed any potential land loss due to increasing sea level (and thus whether the climate migrants are really climate migrants remains unclear to me). One should not forget that any perturbance observed on local or global scale is a result of a complex interplay among multiple natural and anthropogenic stressors and thus their contribution (predictability) should be properly partitioned! The world hopes for more passionate writerrs like you who are not afraid to mention how they believe.